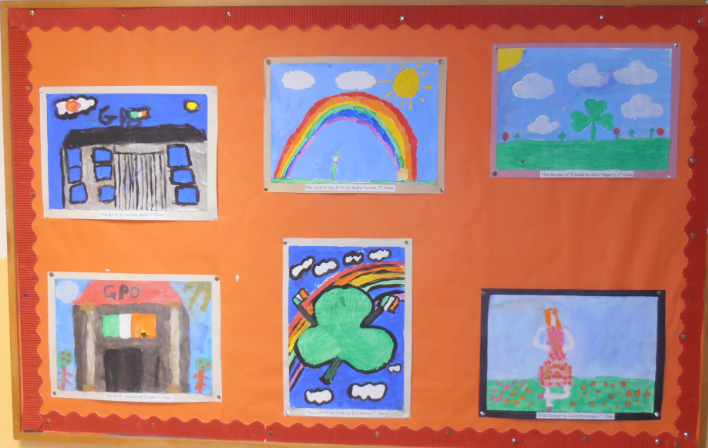 We have an annual Art competition and exhibition in memory of one of our teachers, Sheila O'Hora, who sadly died in 1984. 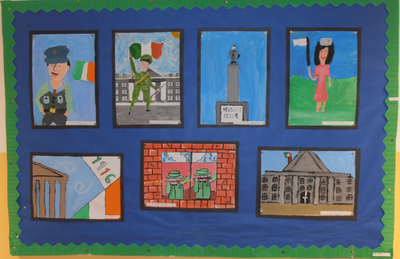 Sheila O'Hora was a very talented teacher and gifted artist. 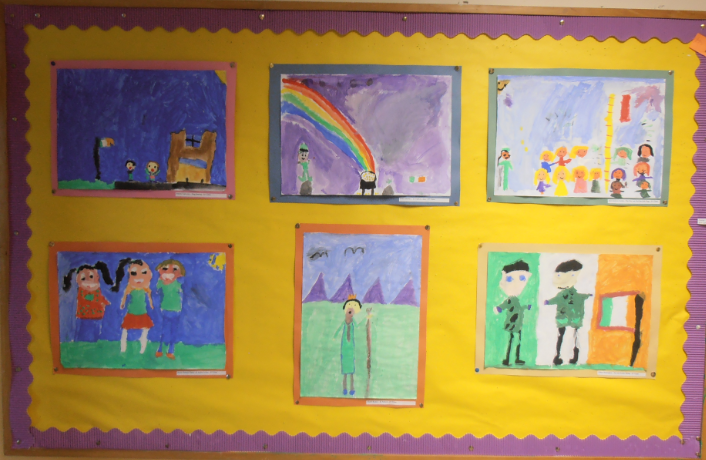 She inspired the children in her care in many ways and gave them a love of art and craft. 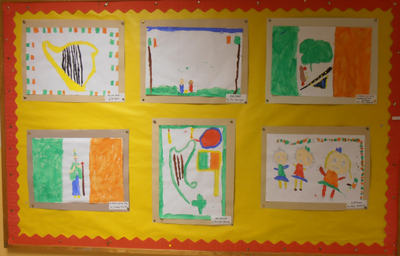 Our competition and exhibition is held at the end of January each year to coincide with Sheila's anniversary. 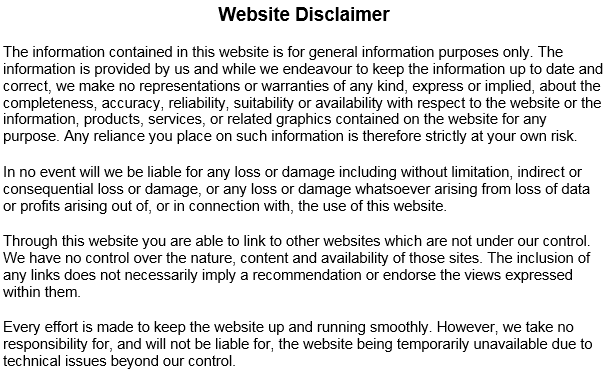 There are two sections, Junior and Senior. 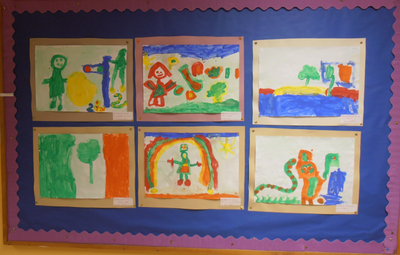 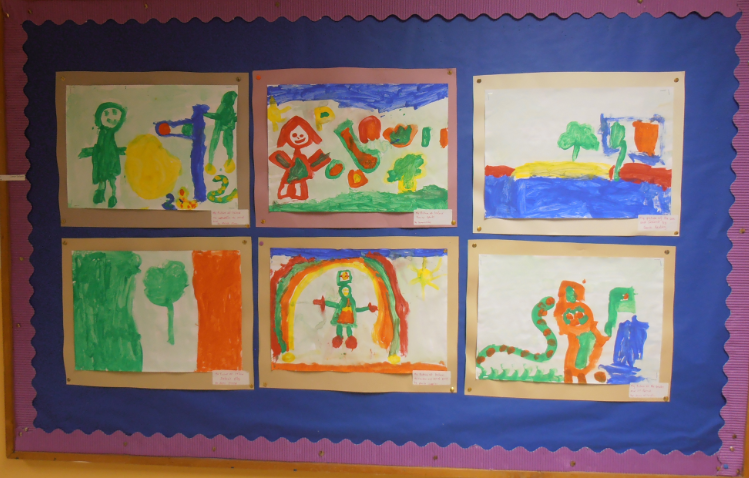 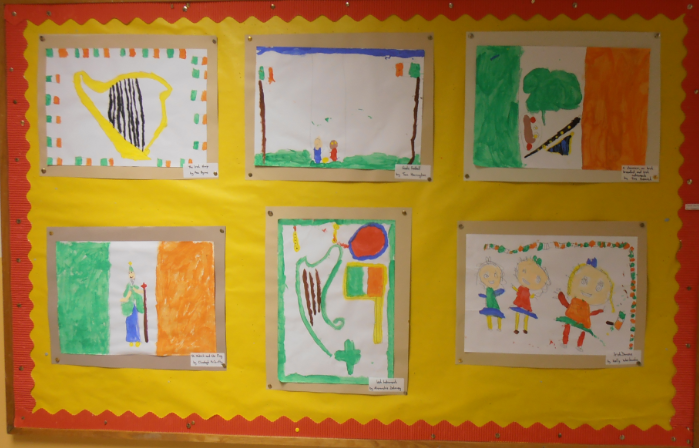 A different theme is chosen each year and children use paint as their medium for exploring the theme. 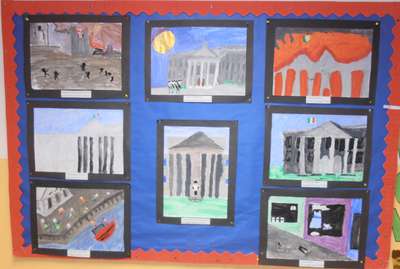 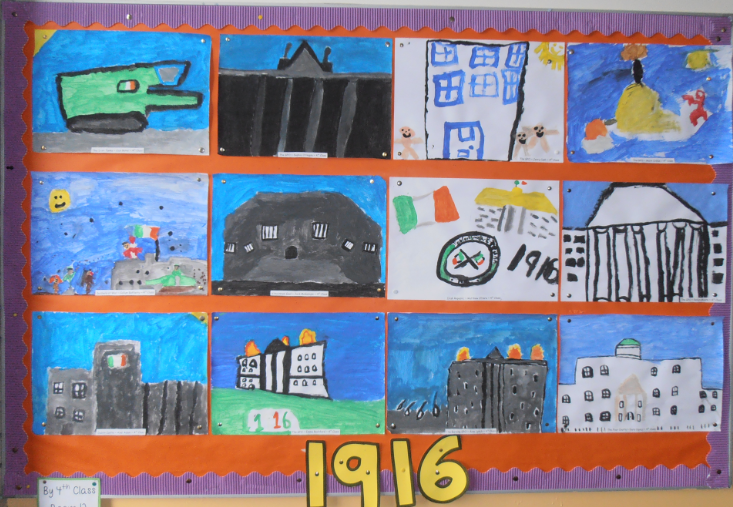 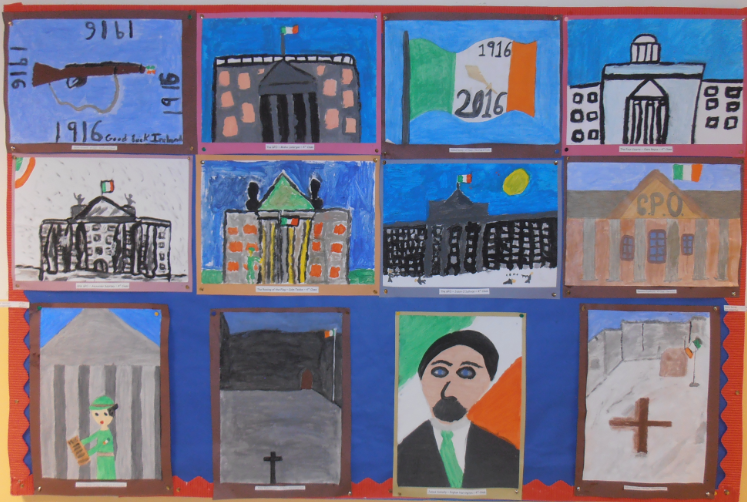 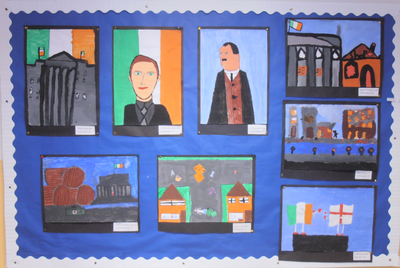 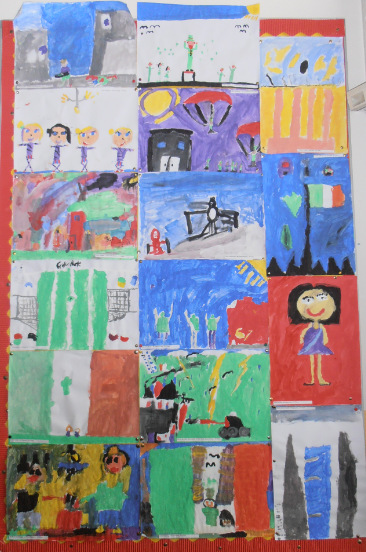 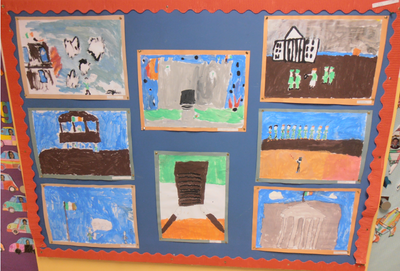 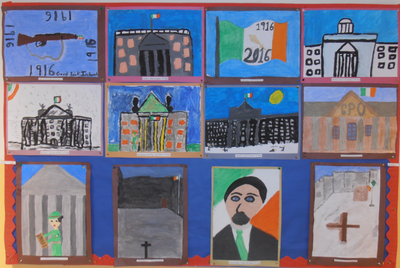 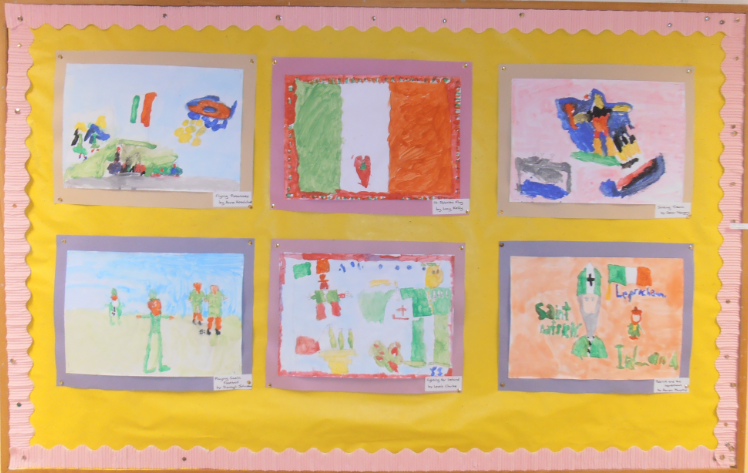 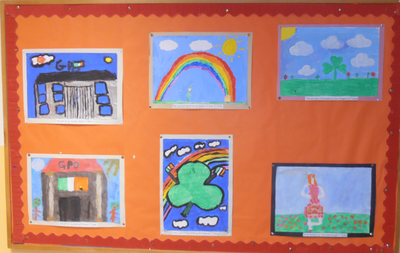 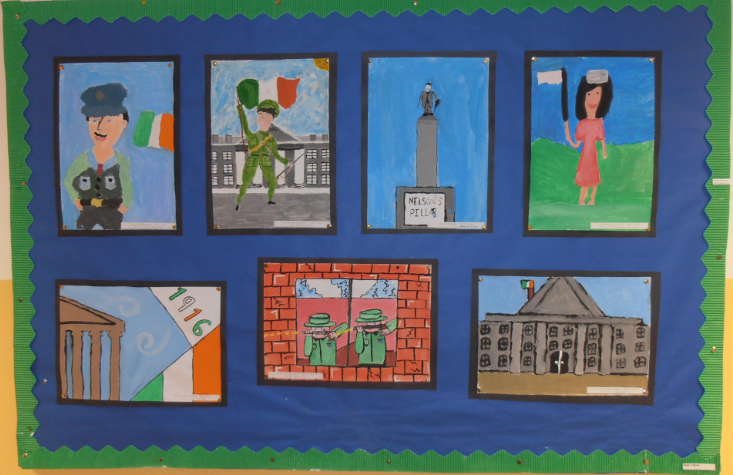 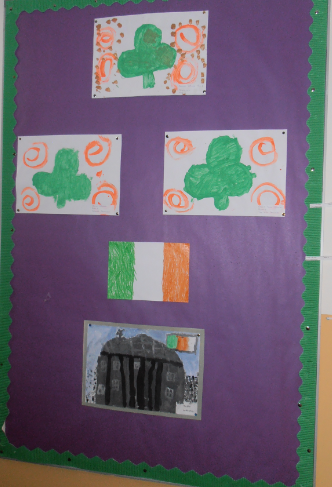 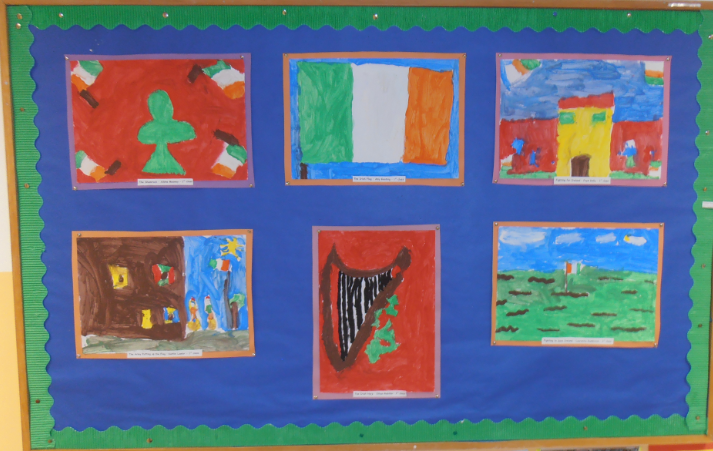 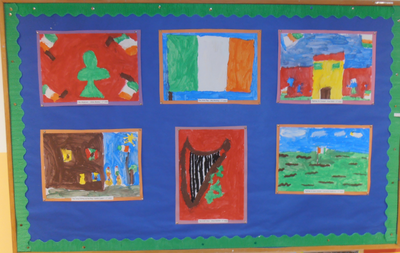 This year's theme is "1916"
Paintings are on display on the corridors.